Buy a 24 man regiment, made up of one command pack, two centre company packs and one flank company pack, all figures in Forage Caps, for the price of £27. 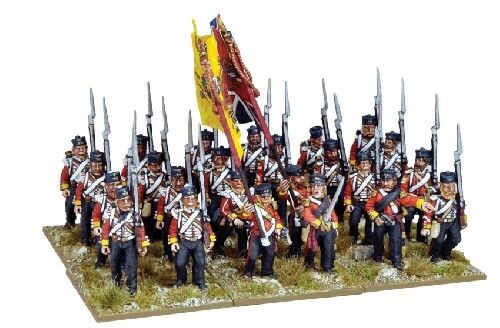 Figures supplied unpainted, flags not supplied. The regiment featured here are the 44th Foot, part of General Eyres 6th Brigade.